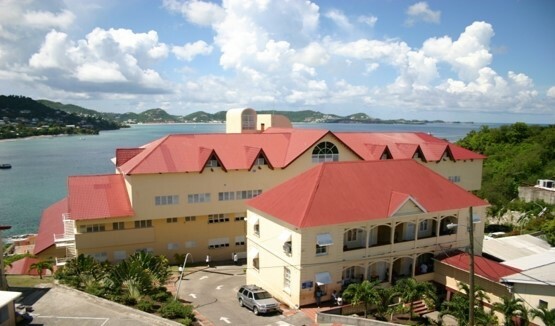 The Grenada Ministry of Health announced that a medical team is heading to Grenada, to implant access valves on dialysis patients. Leading this collaborative effort is Guyanese born doctor and Trauma and Critical Care Surgeon, John Mitchell, MD. For Grenada, Dr George Mitchell, Grenada’s Chief Medical Officer, and Dr Kester Dragon, Medical Director at the St George’s General Hospital are overseeing the proceedings; with the support of Sr Anoris Martin Charles, Director of Nursing Services. These operations will take place from 1-5 August. Health and Educational Relief Organisation (HERO), is a charitable health care organisation dedicated to improving quality of life through relentless service and assistance. Dr John Mitchell is president of HERO. Ann Ogiste-Hopkin and Barbara Brathwaite are two retirees who, among other things, are health advocates in Grenada. Their advocacy on behalf of dialysis patients will pay off with this upcoming mission. Ogiste-Hopkin is a retired Registered Nurse, medical instructor and president of South St George’s Welfare Association (SSGWA). Brathwaite, after retirement and seeing the need in Grenada, created, what she calls, “a dialysis patients’ support group” through which she advocates on behalf of patients navigating the medical system in the tri-island state. HERO visits Guyana twice annually, providing free medical and educational services. They will be at the General Hospital in St George’s, from 2-4 August, providing much-needed services to the patients identified by SSGWA, at no cost to the individuals. This initial mission is a first for HERO and the Health Ministry of Grenada. The HERO team consists of Dr John Mitchell, Critical Care Surgeon, Dr Erica Mitchell, Vascular Surgeon (no relations), and an operating room registered nurse. Through the office of the Permanent Secretary, Pauline Peters (one of Grenada’s most thorough, efficient and competent permanent secretaries), the announcement was made after all required documents were filed. The Grenada Medical and Dental Council oversees and approves such medical missions. Renal failure, End Stage Renal Disease or ESRD are no laughing matter. Diabetes and high blood pressure are the most common causes of someone losing functionality of their kidneys. Normally, the kidneys filter the blood and remove waste and excess salt and water from the body. Treatment of chronic disease may include hemodialysis, peritoneal dialysis or a kidney transplant. Hemodialysis uses a machine to filter the blood outside the body. In peritoneal dialysis, specific fluid is placed into the abdominal cavity and then drained, with this process being repeated multiple times per day.